The newly-discovered object is located only 114 miles away from a similar one discovered in November. The massive asteroid impact crater, discovered by scientists below the Antarctic ice sheet via satellite observation, may well be linked to the worst extinction event in the earth’s history known as the Great Dying. Two YouTube bloggers have been surfing Google Earth to explore a highly classified remote detachment of US Edwards Air Force Base in the state of Nevada, known as Area 51. An international team of researchers has verified the presence of a huge 31 kilometres (19 miles) wide meteor crater beneath a half-mile layer of ice in Greenland, underneath Hiawatha Glacier. In the center of the Karakum desert in Turkmenistan, lies the Darvaza gas crater with a diameter of 60 meters, and a depth of 20 meters, deemed the "Gates of Hell" for its continuous burning. Two buildings near the crater were evacuated as a precaution over fears that structural damage to the buildings could cause them to collapse. The causes of the incident are still being investigated. The beach saw similar incidents at least three times over the last decade. Authorities plan to conduct a geological probe at the site. The asteroid impact which killed the dinosaurs would not have had the same devastating impact had it landed elsewhere on Earth, according to a new study which compares the probability of extinction at different possible sites of an asteroid strike. A peculiar feature that resembles an inverted crater has been spotted on the surface of Mars by NASA researchers. Asteroids slamming into the surface of the early Earth could have created conditions for the development of microbial life, a fresh study suggests. Scientists are gearing up for a drilling expedition at the impact crater of the asteroid that hit the Earth 66 million years ago, with the aim of finding out what really happened after its impact. 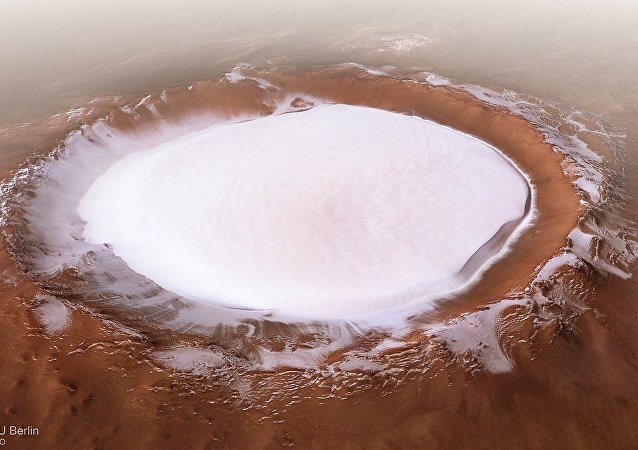 Just below the surface of Mars, a gargantuan glacier of ice the size of the country of Sumatra exists between the equator and the Red Planet’s north pole, and astrogeophysicists say it’s the likely result of snowfall some tens of millions of years ago. A sinkhole near one of the mines in Russia’s Ural Mountains has grown in size at least fivefold since it was first reported last November; the huge abyss keeps swallowing up nearby summer cottages and shows no signs that it will stop getting bigger. 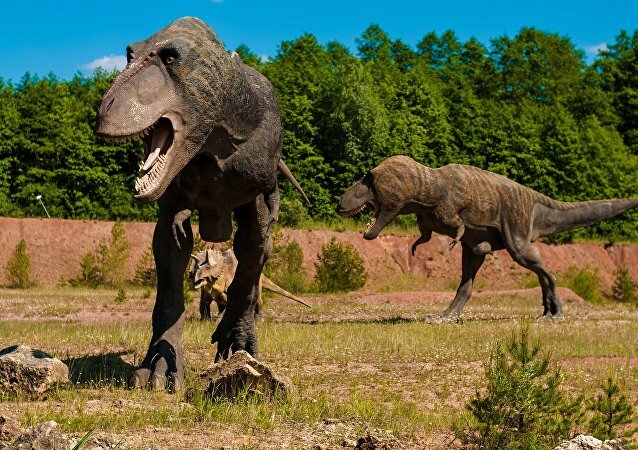 While scientists understand that a 6-mile wide asteroid plummeted to the Earth over 65 million years ago, creating a 110-mile wide crater and killing all the dinosaurs, researchers want to get to the bottom of what the site looked like directly after impact. Geologists from the Australian National University discovered what they believe is the largest impact zone left by a meteorite that crashed into the Earth millions of years ago.